I am writing this article because I was searching for a dog for the family, but I have young children. While researching dogs online I quickly realized that not only was there a lot of information to go through, but there was a lot of different dogs. So after researching like a hundred sites this is the list that I have come up with. I hope that this site will help you in your search for the right pet for you and your family. To start I will go through the best dogs and then the worst dogs. In the best dogs, I will go through temperament, health and grooming of each breed. I will also include other sites that will give you more information on each breed. In the worst breeds of dogs I will tell you about thier temperament and why I think that these dog don't make good kid pets. I will also include other sites so you can make a more informed decision about your next family member. These dogs are great with kids because they are kids at heart. They all have loving personalities and are loyal. They will please you in more ways than you can imagine. Please do remember that this my personal opinion. I am basing this off research but it is best if you do some of you own. The beagle was breed to be a hunting dog originally, but with their friendly, happy go lucky attitude this breed is hard to resist. Beagles love to play as well as work and are happiest when with its human. And with a life expectancy of 10-14 years, you will have a life long partner in this dog. This dog will work well with new pet owners or experience ones. 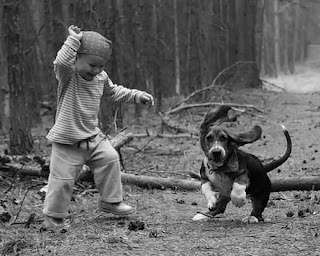 The beagles playful but loving nature is what makes this a great kid dog, but there are some things that you need to watch for. Beagles are hard headed at times and training is a must. You should also make sure that you are consistent with your training. If there is a gray area the dog may become confused and will act accordingly. This breed should also be put on a tight feeding schedule, because it loves to eat and will act like it is starving just to get what it wants. 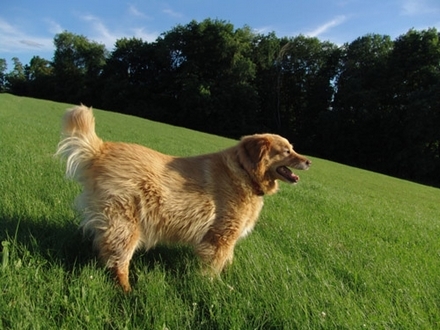 This breed is prone to obesity because of this behavior. This breed takes it food seriously so you might want to teach children not to mess with this dog while eating or feed outside just to be safe. 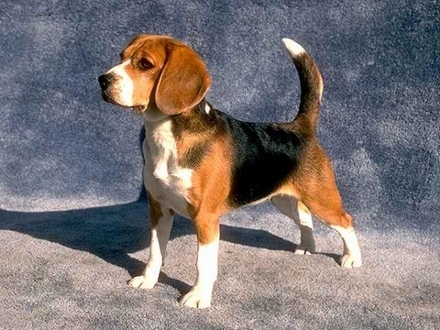 The beagle is also a scent dog, meaning that its nose was meant for tracking. Their nose will get them into more trouble. Once they get a scent they are hard to detour from it, so it is usually best to keep on a leash. This dog will also dig and climb fences when left to their own devices or become bored. Regular playing and walks can help keep this behavior to a minimal. As far a grooming goes with this animal it is pretty simple. Beagles have short hair that should be brushed a least once a week. The down side is that they shed year around. This breed is also prone many health problems. All an all this is a well rounded breed that is always eager to please its owners. With a great temperament and fairly easy to care for. This out going animal is a great kid’s dog that is just as loyal as can be. With its small size you won’t have to worry about this breed knocking your child to the ground. You will have to watch and make sure that you little one doesn’t play to rough with this dog either. 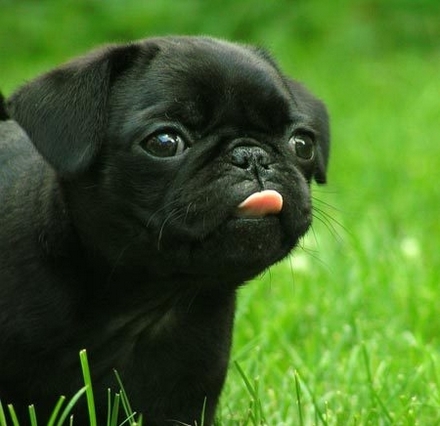 Pugs are extremely smart animals that respond well to positive praise. There are time thought when this breed can be willful during training but, be pursuant and calm and this dog will excel. This is also a lazy breed so it is important to exercise this dog often or you will have an obesity problem on your hands. This breed will often get irritated when it feels ignored, and is very sensitive to the tones in your voice. A lot of yelling will only make this breed nervous. With a life span of 12-15 years this will be a loving pet for a long time. There are some problems with this breed as far as its health. The biggest is breathing problems because of their short snout. There are some cancers with this breed but this is better discussed with the breeder or your vet. Over all this is a great compact dog that has the loyalty you would expect from a larger breed. With its eager to please attitude and loving disposition this little dog is sure to hold a big place in your family. This is a familiar breed that almost everyone has heard about. This breed has been the favorite dog in the United States for about 10 years, and with their versatility it is easy to see why. Labs are patience by nature, and will tolerate being hanged on well. This dog is loyal down to the bone. Its only goal in life is to please its human. Training needs to start early in this animal, if not training will be more difficult. Consistency is a must with this breed along with a firm stand on the rules. This dog is happy knowing its place in the pack. You must be careful on how you discipline this dog because it will get its feelings hurt and they don’t forget. Which made have undesired results. 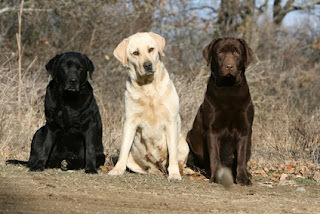 Labradors come in three basic colors black, chocolate, and yellow. They are relatively easy to groom but do shed year around. They are mostly short haired so brushing once a week should cut down on the hair being shed. Bathing should only take place when it is needed so not to lose the undercoat. This is a great companion that is smart, loving, loyal, and easy to care for. They do have some genetic health problems that should be check for. Over all though this is a fairly healthy breed. This is another breed that is familiar to most people and is often compared to the lab. The two breed are a lot alike but there are some difference between them. This breed is very high energy, so training is a must to help control some of it. This dog can become over excited around other dogs if it is not well socialize from a young age. With this breed you want to watch play time because of its pleasing attitude it will over exert itself. Training this breed is a real treat, some dogs have been know to learn up to 240 commands, words, and phrases. This breed also does not do well as a back yard dog for it prefers to be with the family. Grooming this dog is relatively easy even with its long hair. Bathing should only be done when it is necessary so you don’t risk losing the undercoat. This breed does have long hair so you will want to watch and make sure that your little ones don’t pull on it. This breed is also prone to skin allergies and other skin problems. Did she say poodle? Yes, a poodle, but not just any poodle, the standard poodle. 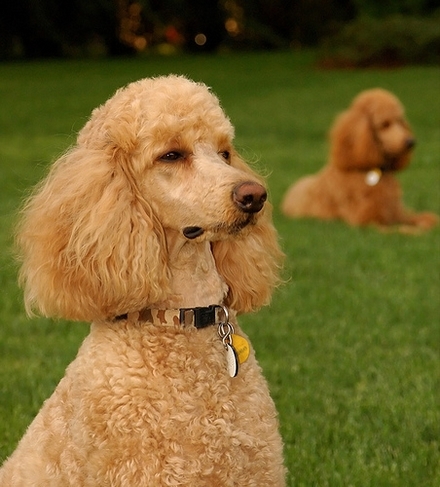 This intelligent dog that excels in training is hypoallergenic and very patience. This dog is also very easy to potty train whether on a pad or to go outside. This dog is likely to take up with everyone in the family instead of just one person like many other breeds. This is a people oriented dog so it will not do well as an outdoors pet. This is a very active pet so be ready to take long walks and to play ball for as long as you can. If not properly exercise this breed in know to become destructive, and high strung. Grooming of this pet can get expensive because of the need to be professionally groomed. The up side is the hypo-allergenic coat that cuts down on allergies. This does not mean that they won’t shed some. Bathing can be done once a week or as needed. All around the standard poodle is a great dog. With its pleasing attitude, loving disposition, an amazing patience this dog makes a great kids dog. You also will have this pet for a long time to come with a life span of 10-12 years. Even with its size this breed will be right at your side and gratefully so.